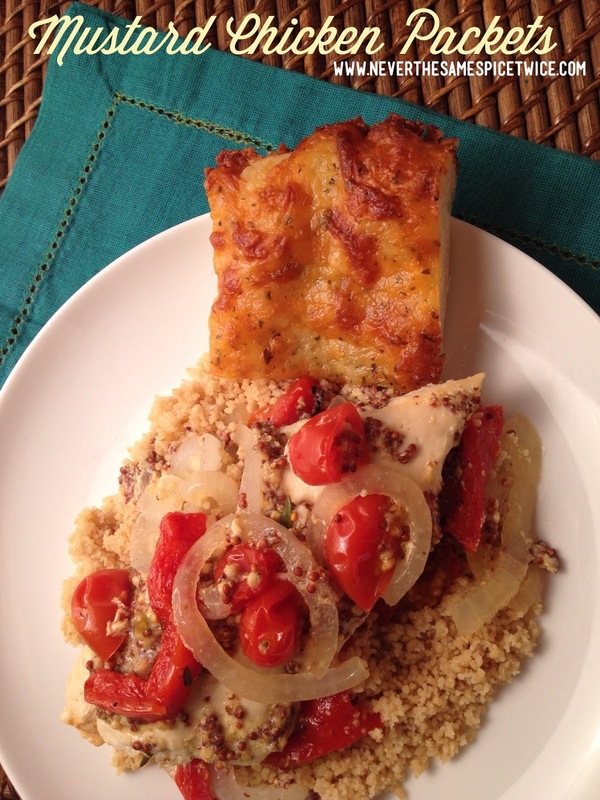 This yummy awesomeness was inspired by one of Ryan's creations on Sustenance Reinvented! 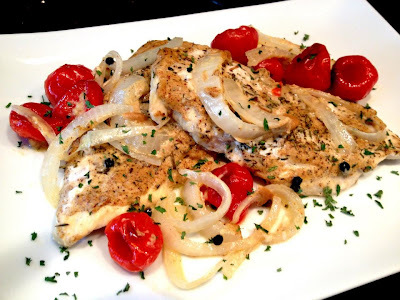 Mustard Chicken with Roasted Onions, Cherry Peppers, and peppercorns. 1. In a small bowl whisk mustard and white wine. 2. In a larger bowl mix sliced onions, garlic, tomatoes, and roasted red peppers. Season with salt, pepper, thyme, and drizzle with olive oil. Mix thoroughly, so everything is evenly coated. 3. 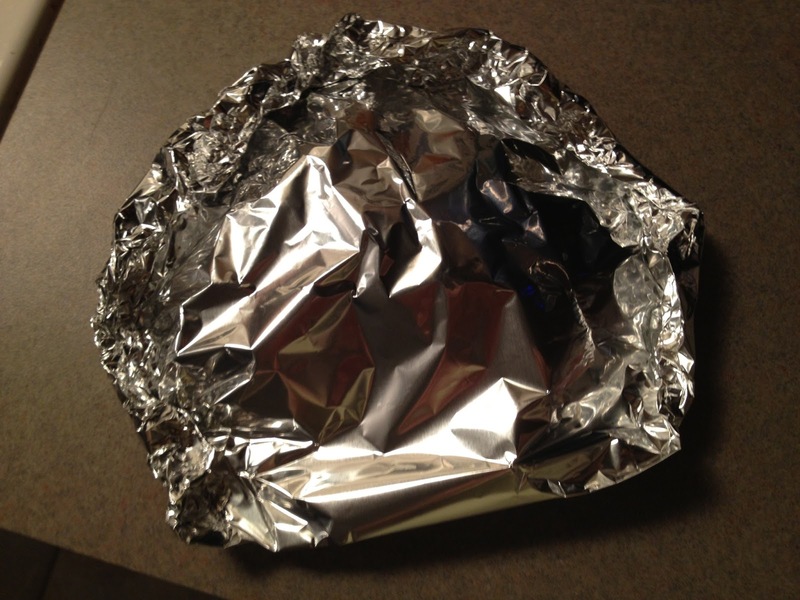 Fold foil in half widthwise, and open back up. On one half of foil (dull side up), place chicken, 1/4 veggies, and 1/4 of mustard/wine mixture on top. Fold foil back over in half, and carefully seal all of the edges off. I did this by making a series of (sloppy) mini folds, working my way all the way around. Make sure the packets are nice and tight so none of the steam escapes. Place foil packets on a baking sheet. 4. Cook the packets for 30 minutes, let rest for 5 minutes before carefully opening. ah do you have more amazing recipes? im gonna scroll through your blog and pin this.